The boss of one of the UK's biggest energy consumers has warned power from the new Hinkley Point nuclear power generator will be too expensive. The figure was agreed upon between the government and EDF as a guaranteed price for the nuclear energy it produces over the next 35 years. However, Mr Ratcliffe said his firm recently struck a deal to receive nuclear power in France for only 45 euros (£37.94) per Mwh. "He said: The UK probably has the most expensive energy in the world. "It is more expensive than Germany, it is more expensive than France, it is much, much, more expensive than America. It is not competitive at all, on the energy front, I am afraid." However, a spokesman for the Department of Energy and Climate Change said the government would always have consumers best interests at heart. He said: "The UK Government has always been clear that EDF will only be offered an investment contract for the Hinkley Point C new nuclear power plant if it is fair, affordable, value for money and consistent with state aid rules. "No consumer in the UK will pay anything for electricity from Hinkley until 2023." 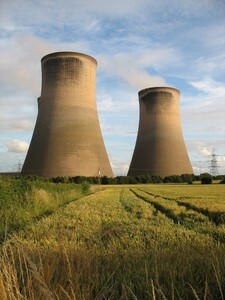 A spokesman for the World Nuclear Association also pointed out the cost of nuclear power in the UK was quite complex and, although Mr Ratcliffe may have been able to strike a cheaper deal in France for nuclear energy, the deal was for an unspecified time compared to EDF's deal with the UK government which is guaranteed for 35 years.